Pancreatitis is an inflammation of the pancreas caused by leakage of the digestive enzymes and causing the pancreas to "digest itself." Pancreatitis can be acute (sudden) or chronic (happening over a course of time.) Both acute and chronic forms are serious and can be life-threatening. Middle-aged dogs appear to be at increased risk of developing pancreatitis. Certain breeds are more prone to the disease, particularly Schnauzers and Yorkshire terriers. Pancreatitis is more common in overweight dogs. When pancreatitis occurs in an overweight dog it is more likely to cause serious illness. Certain medications: The medications most suspected of causing pancreatitis include azathioprine (Imuran Rx), potassium bromide (used for seizure control), l-asparaginase (a chemotherapeutic agent) and zinc used as a dietary supplement. Nutrition also plays a major role. Dogs with high-fat diets, dogs that have recently eaten the trash, are fed table scraps, or 'steal' greasy people food have a higher incidence of the disease. In addition, dogs that have previously had pancreatitis or abdominal surgery appear to be more at risk. Because fatty foods are a common cause of pancreatitis, it is good to limit the amount of fat in your dog?s diet. Be especially careful around the holidays as extra table scraps and fat trimmings in the garbage can trigger pancreatitis. All or some of the signs may be present with pancreatitis, but are not specific for pancreatitis, and can be seen with many gastrointestinal diseases and conditions. Pancreatitis can be diagnosed by looking at blood chemistries and biopsies. While biopsy is the gold standard, unless surgery is called for, these are not generally performed because of their invasive nature. The goal of treatment is to rest the pancreas, provide supportive care and control complications. If vomiting is severe, treatment usually consists of withholding all food, water, and oral medications for 24 hours to stop the stimulation of the pancreas. Depending on the dog's response, food can be reintroduced after a day. 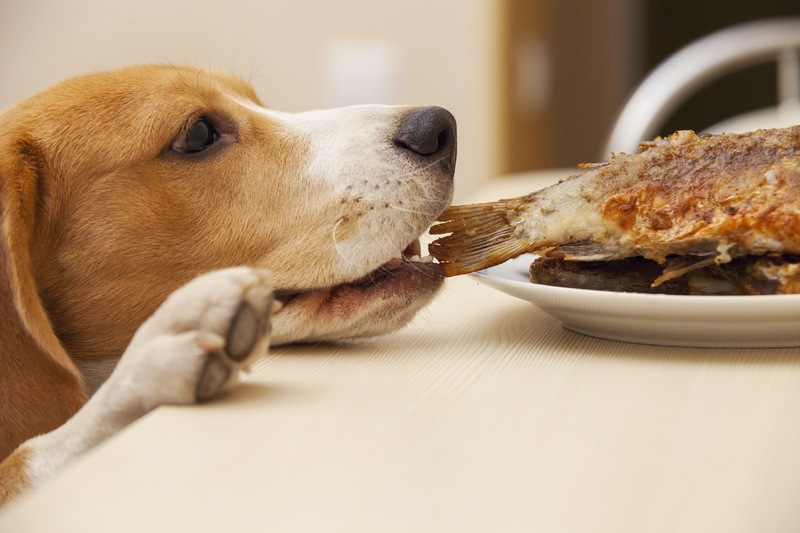 At that time, the dog should be fed small, bland, easily digestible meals that are high-carbohydrate, low-fat. Over a period of a week, meal size and quantity of food can be increased. The dog may need to stay on a special diet for life, or it may be possible to gradually reintroduce the former diet. High-fat diets or treats should be avoided. Since dehydration and electrolyte imbalances are common in dogs with acute pancreatitis and water intake is often restricted, fluid therapy is usually needed. Fluids are either given subcutaneously or intravenously. Dogs that experience severe pain can be treated with pain relievers such as meperidine or butorphanol. Antibiotics are often administered prophylactically to protect against infection. If the pancreatitis was caused by a medication, the medication should be stopped. If it was caused by a toxin, infection, or other condition, the appropriate therapy for the underlying condition should be started. In rare instances where there are intestinal complications or the development of a pancreatic abscess, surgery may be necessary. Pancreatitis can be a very unpredictable disease. In most cases, if the pancreatitis was mild and the pet only had one episode, chances of recovery are good and avoiding high fat foods may be all that is necessary to prevent recurrence or complications. In other cases, what appears to be a mild case may progress, or may be treated successfully only to have recurrences, sometimes severe. Dogs with severe pancreatitis can recover, but may also develop fatal complications. The risk of developing fatal pancreatitis is increased in dogs that are overweight, or have diabetes mellitus, hyperadrenocorticism, hypothyroidism, gastrointestinal tract disease, and epilepsy. Dogs that suffer repeated bouts of pancreatitis may need to be fed low-fat diets to prevent recurrence. Some dogs develop chronic pancreatitis, which can lead to diabetes mellitus and/or pancreatic insufficiency, also called maldigestion syndrome. In pancreatic insufficiency, the nutrients in food are passed out in the feces undigested. Dogs with this disease often has a ravenous appetite, diarrhea, and weight loss. Even though he is eating, he could literally starve to death. Treatment for pancreatic insufficiency is lifelong and expensive, but is possible. The dog?s digestive enzymes are replaced through a product processed from pancreases of hogs and cattle which contain large quantities of the digestive enzymes. A change in diet with added nutritional supplements may also be necessary.